Eyeing victory in Uttar Pradesh polls, the Samajwadi Party and Congress on Saturday launched the common minimum programme here. 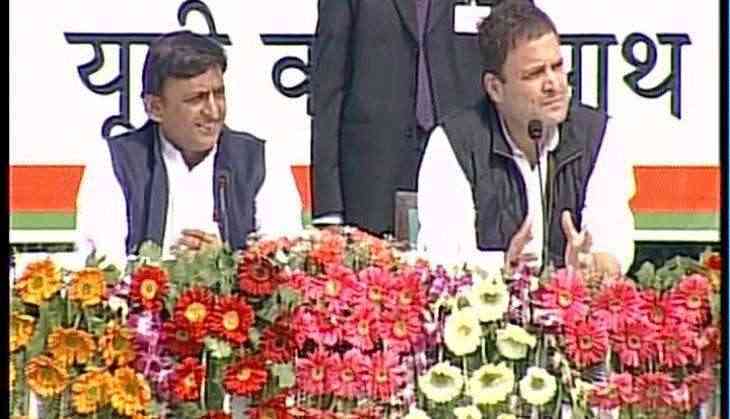 The programme was released jointly by the Uttar Pradesh Chief Minister Akhilesh Yadav and Congress vice-president Rahul Gandhi. The programme that includes ten points of commitment to the people of Uttar Pradesh, enlists the promises such as free smart phones to youth, employment to 20 lakh youth, loan waiver to farmers, reduction of power tariff, pension schemes for poor, better infrastructure, cycle to girls who will fall under merit list, 33 percent reservation to women in government jobs, free residence to Dalits and backward class poor. The modification of Uttar Pradesh police, law and order, and development issues will also be enlisted in the CMP. "People of Uttar Pradesh believe that when we make any promise then we will also fulfil them," said Akhilesh Yadav while releasing the list. The manifestos of both the parties have already been released.